Home / Uncategories / Are Caramel Sea Salt Coconut Macaroons Paleo? Are Caramel Sea Salt Coconut Macaroons Paleo? Recently I went on First Coast Living to talk about the Paleo diet and to give some Paleo-friendly options for non-paleo foods like pasta, soda, and chips. I had a great time and both of the hosts were gracious, funny, and genuinely interested in Paleo. One moment however stood out in particular. About halfway through, me and one of the hosts, Casey Black De Santis, talk about whether or not Hail Merry Caramel Sea Salt Macaroons are Paleo. Casey was trying to understand how something like a coconut macaroon makes sense in the context of the Paleo diet since it isn't likely that a Caveman would have encountered such a thing. This is a question I receive all the time, whether it is caramel sea salt macaroons, bacon, or any number of things that are, on one hand, considered Paleo, but on the other hand, not at all what a caveman would or could have eaten. My response is that Paleo is really about real food, its about ingredients that you can understand, and avoiding toxins like industrial seed oils and gluten containing grains. Paleo is also a reasonable approach that doesn't exclude a food just because it didn't exist 50,000 years ago. If that were the case, things like kale, broccoli, tomatoes and many other "Paleo" foods would also have to be restricted. Most, if not all, the foods we eat today, even the whole animal and plant foods, are dramatically different than the types of animals and plants that existed in prehistory, so eating "like a caveman" is actually impossible by this definition. What is possible, is to eat a wide variety of fruits and vegetables, to sample all kinds of meats from all kinds of creatures, ideally grass fed and nose to tail, and to supplement this basic diet with packaged and semi-processed foods that give you pleasure, allow you to stick to the Paleo lifestyle, and are made without the use of chemical additives, adulterated ingredients, and health destroying toxins. 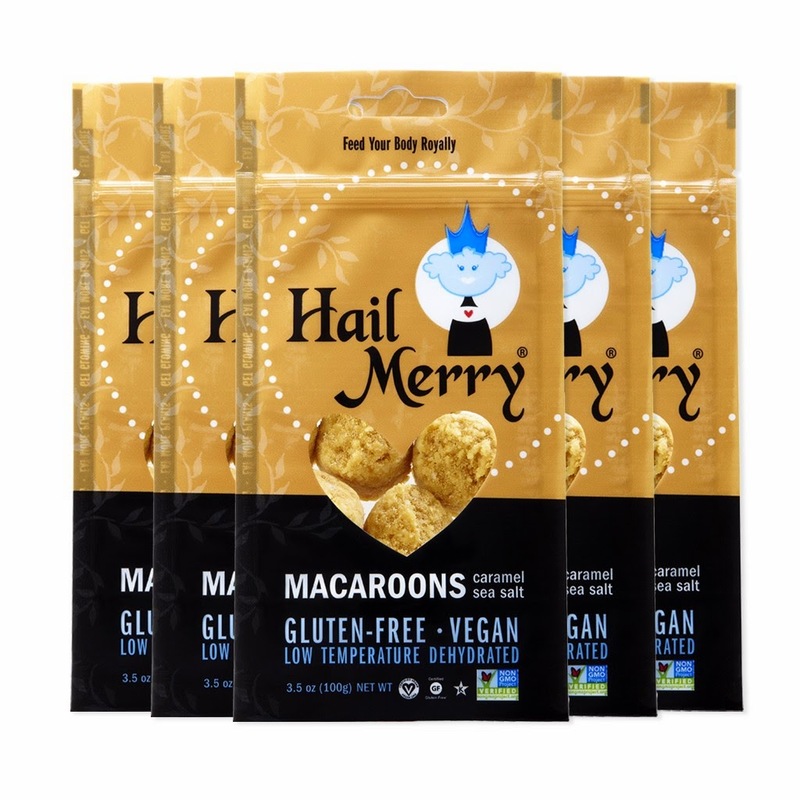 I'd love to hear your thoughts on this matter and whether you think Hail Merry Caramel Sea Salt coconut macaroons are paleo or not.